ROTARY/One in Chicago recently celebrated their 107th birthday and Joliet Rotarian Tom Grotovsky was one of the150 Rotarians and friends from throughout the District in attendance. 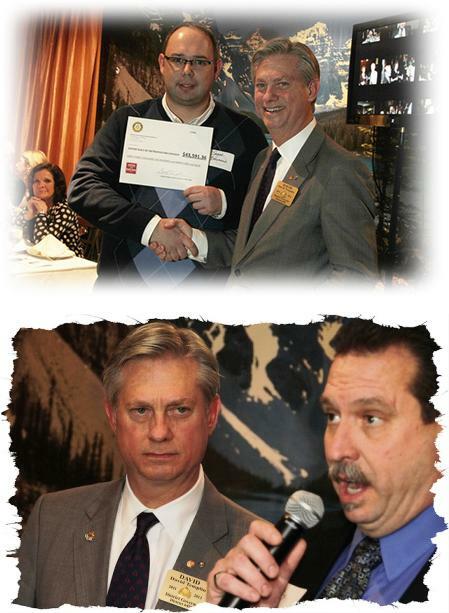 District Governor David Templin presented a check for over $40,000 from the 2012 Taste for Rotary proceeds to Easter Seals of Metropolitan Chicago. Tom, who is Chairperson of the 2013 Taste for Rotary announced that the next Taste For Rotary will be held on Thursday, February 21, 2013. Mark your calendars!